Get ready to experience innovation and technology at their peak with the Honor View 20 Dual-SIM Smartphone. It has two great cameras that deliver professional-grade results. This Honor View smartphone features a 48MP high-definition camera that captures all the details brilliantly. The 25MP in-screen camera captures breathtaking selfies, even in low light conditions. 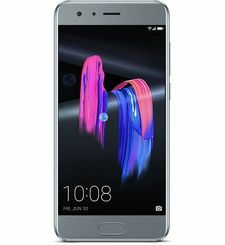 This Honor mobile has a 6.4inch All-View display that gives you a maximized and crystal clear visual experience. Furthermore, the 4000mAh battery provides enough power for uninterrupted gaming on-the-go. Thanks to the 5A HONOR SuperCharge support, this phone can be charged quickly. 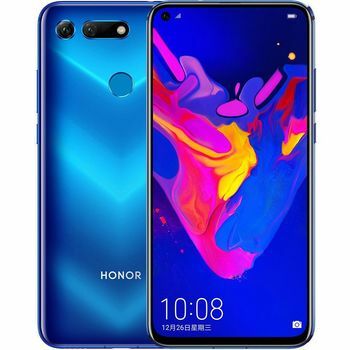 When it comes to performance, the Honor View 20 has cutting-edge components that ensure the best of both speed and efficiency. The combination of the Kirin 980 AI chipset and 8GB RAM ensures the smooth running of even the most demanding apps. Moreover, the 256GB inbuilt memory lets you carry all your valuable data in your pocket. Available in a phantom red finish, this Honor View smartphone has the Aurora Nanotexture design that looks incredibly sleek and smart. This Honor View smartphone has a 48MP camera that takes advantage of the Kirin 980 AI chipset to deliver lifelike photos. This rear camera is capable of delivering crystal-clear shots even when you are capturing from a high vantage point or distance. Furthermore, the Artificial Image Stabilization, 4-in-1 superpixels, and 48MP resolution allow you to capture brilliant photos in dim lighting conditions. Additionally, the 25MP selfie camera is embedded into the 6.4nch screen. It lets you capture the best of you, no matter the time of the day. Equipped with the powerful Kirin 980 AI chipset, the Honor View 20 sets new standards in performance and efficiency. This 7nm Mobile AI Chipset is the perfect example of power connected to intelligence. With the GPU Turbo 2.0, you are in for a full-frame gaming experience without any lagging. The Nine Liquid Cooling System, with the S-Shaped heat pipe’ ensures sustained peak gaming performance. Furthermore, this smartphone has a 4000mAh battery that provides up to 15 hours of music playback. Also, the HONOR SuperCharge support enables up to 55 percent charge in as little as 30 minutes. With support for 3D motion-controlled gaming, this Honor mobile can be turned into a gaming console. The 3D camera allows lets you enjoy 3D motion games to the fullest. Also, the Honor View 20 has the 3D shaping feature that allows for real-time video retouching. 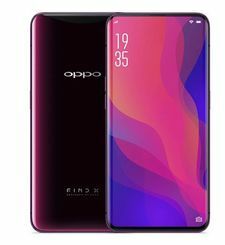 When gaming online, you can hold the phone freely without worrying about its orientation as the Triple-Antenna Wi-Fi will maintain a strong signal to give you a lag-free experience. Moreover, you can measure the volume of food calories with the 3D camera. With the AI video editor function, this smartphone can identify faces for creating separate video highlights for individuals. Lastly, the Dual-Frequency GPS and AI GPS Satellite Selection Technology enable you to find a location with excellent accuracy. Get ready to experience innovation and technology at their peak with the Honor View 20 Dual-SIM Smartphone. It has two great cameras that deliver professional-grade results. This Honor View smartphone features a 48MP high-definition camera that captures all the details brilliantly. The 25MP in-screen camera captures breathtaking selfies, even in low light conditions. 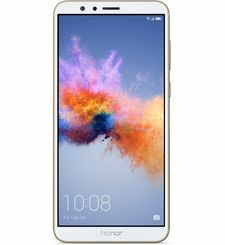 This Honor mobile has a 6.4inch All-View display that gives you a maximized and crystal clear visual experience. Furthermore, the 4000mAh battery provides enough power for uninterrupted gaming on-the-go. Thanks to the 5A HONOR SuperCharge support, this phone can be charged quickly. 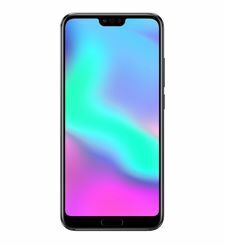 When it comes to performance, the Honor View 20 has cutting-edge components that ensure the best of both speed and efficiency. The combination of the Kirin 980 AI chipset and 8GB RAM ensures the smooth running of even the most demanding apps. Moreover, the 256GB inbuilt memory lets you carry all your valuable data in your pocket. Available in a phantom red finish, this Honor View smartphone has the Aurora Nanotexture design that looks incredibly sleek and smart. 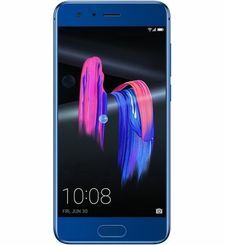 BEST-IN-CLASS PHOTOGRAPHY This Honor View smartphone has a 48MP camera that takes advantage of the Kirin 980 AI chipset to deliver lifelike photos. This rear camera is capable of delivering crystal-clear shots even when you are capturing from a high vantage point or distance. Furthermore, the Artificial Image Stabilization, 4-in-1 superpixels, and 48MP resolution allow you to capture brilliant photos in dim lighting conditions. Additionally, the 25MP selfie camera is embedded into the 6.4nch screen. It lets you capture the best of you, no matter the time of the day. 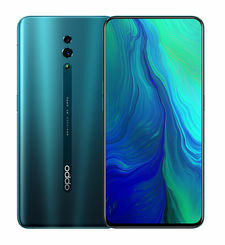 REVOLUTIONARY PERFORMANCE Equipped with the powerful Kirin 980 AI chipset, the Honor View 20 sets new standards in performance and efficiency. This 7nm Mobile AI Chipset is the perfect example of power connected to intelligence. With the GPU Turbo 2.0, you are in for a full-frame gaming experience without any lagging. The Nine Liquid Cooling System, with the S-Shaped heat pipe’ ensures sustained peak gaming performance. Furthermore, this smartphone has a 4000mAh battery that provides up to 15 hours of music playback. Also, the HONOR SuperCharge support enables up to 55 percent charge in as little as 30 minutes. INNOVATIVE FEATURES With support for 3D motion-controlled gaming, this Honor mobile can be turned into a gaming console. The 3D camera allows lets you enjoy 3D motion games to the fullest. 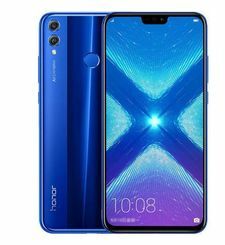 Also, the Honor View 20 has the 3D shaping feature that allows for real-time video retouching. 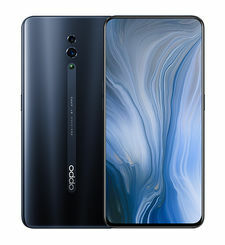 When gaming online, you can hold the phone freely without worrying about its orientation as the Triple-Antenna Wi-Fi will maintain a strong signal to give you a lag-free experience. Moreover, you can measure the volume of food calories with the 3D camera. With the AI video editor function, this smartphone can identify faces for creating separate video highlights for individuals. Lastly, the Dual-Frequency GPS and AI GPS Satellite Selection Technology enable you to find a location with excellent accuracy.